What sorts of risks? Practically every step of the waste management can involve repetitive motions, lifting heavy objects, unnatural postures, and twisting muscle groups. According to the Occupational Safety and Health Administration, the best way to remove ergonomic risks is to implement engineering controls. More specifically, these changes replace the risky task with a less-risky one. For instance, building managers could ask staff to make more frequent trips to the collection dumpster to reduce the weight of loads during each trip. Even better, they can provide material handling equipment that eliminates heavy lifting and repetitive motions. Here are a few tasks associated with waste management in commercial buildings, along with examples of material handling equipment that can create a safer, more efficient workplace for janitorial staff. Waste-handling staff have to travel throughout the building, emptying individual trash receptacles into a larger rolling bin. The design of this bin can make a big difference. Choose a Mobile Garbage Bin with ergonomic grab handles and large, easy-rolling casters.The smaller the caster, the more force a user will have to exert to push the bin over thresholds. 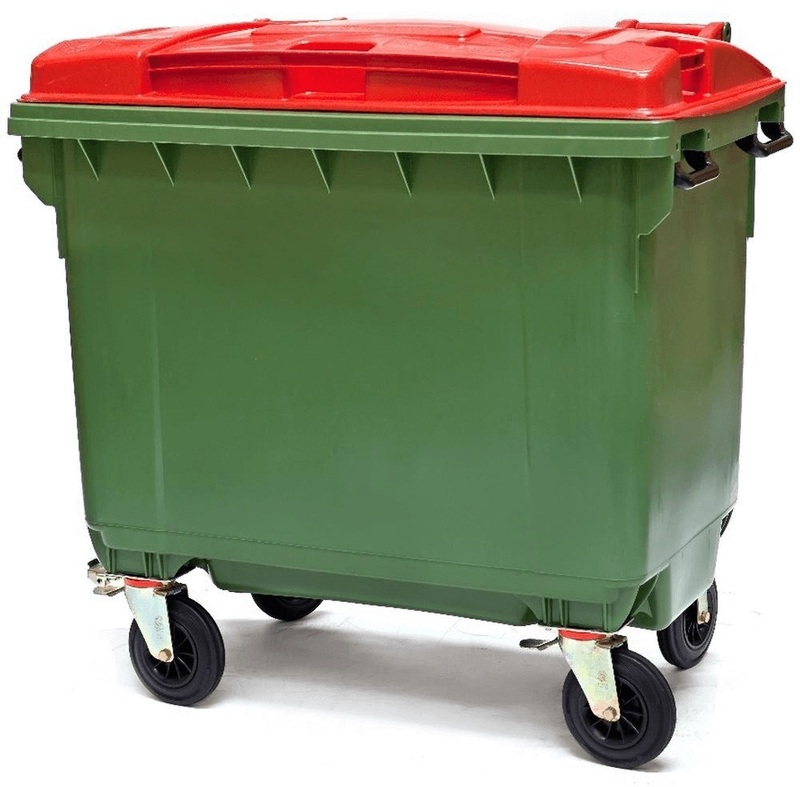 Better casters allow users to maneuver the bin, even when loaded, with a minimum of exertion. Unfortunately, there isn’t a lot of equipment that can replace manually lifting and emptying point-of-origin trash bins. Instead, waste-handling staff should avoid leaning over to pick up trash cans, instead bending at the knees with a straight back. The final waste-management point for most employees is the dumpster; haulers will typically take it from there. However, emptying a full Mobile Bin into a dumpster is one of the most risky tasks in the whole process.That’s because, typically, employees must lift and twist to empty contents. Mobile Bins can be quite heavy with a full building’s load of waste. Prevent this hazardous task by providing Bin Tippers at the dumpster’s location. Bin Tippers allow users to simply roll a bin into the unit and empty it with the press of a button. The unique design of Simpro Bin Tippers centers the weight of the load over the unit at every point along the bin’s travel path, creating a safer, more efficient way to dump heavy bins. Ergonomic material handling doesn’t just make waste handling safer for your staff; it can also cut costs by reducing staffing levels necessary to complete the job. If you’re looking for ways to create a workplace that’s both injury-free and highly productive, invest in Bin Tippers and Mobile Bins. “Working Safer and Easier.” DIR. Cal/OSHA Consultation Service, California Department of Industrial Relations, 2005. PDF. 28 Feb. 2019.